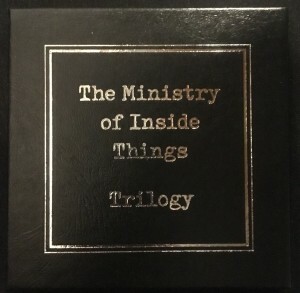 View cart “The Ministry Of Inside Things: Contact Point (CD)” has been added to your cart. The Ministry of Inside Things, consisting of synthesist Chuck van Zyl, electric guitarist Art Cohen (and former member electronic musician Peter D Gulch), are considered among the most innovative of US spacemusicians. Influenced by the early music of Tangerine Dream, Klaus Schulze and Ash Ra Tempel, their work has been described as linear, leading the listener across many sonic terrains. Based on improvisation, The Ministry of Inside Things creates electronic realizations that flow from theme to theme, with the experience often lasting up to two hours. Through use of textures and atmospheres as well as harmony, rhythm and melody, the group transports the audience on an internal sonic excursion. Chuck van Zyl has been recording electronic music and performing live for more than 30 years, but is best known for hosting STAR’S END for the past 37 years – considered by many to be one of the world’s most successful radio shows of electronic music. Art Cohen has been pushing the limits of the electric guitar in the studio and in live performance for well over 40 years. Peter D Gulch co-founded The Nightcrawlers, the innovative Spacemusic ensemble which provided a major influence over the 1980s independent music scene in the Philadelphia region, and internationally through the release of three revered LPs and a great number of self-produced audio cassettes. 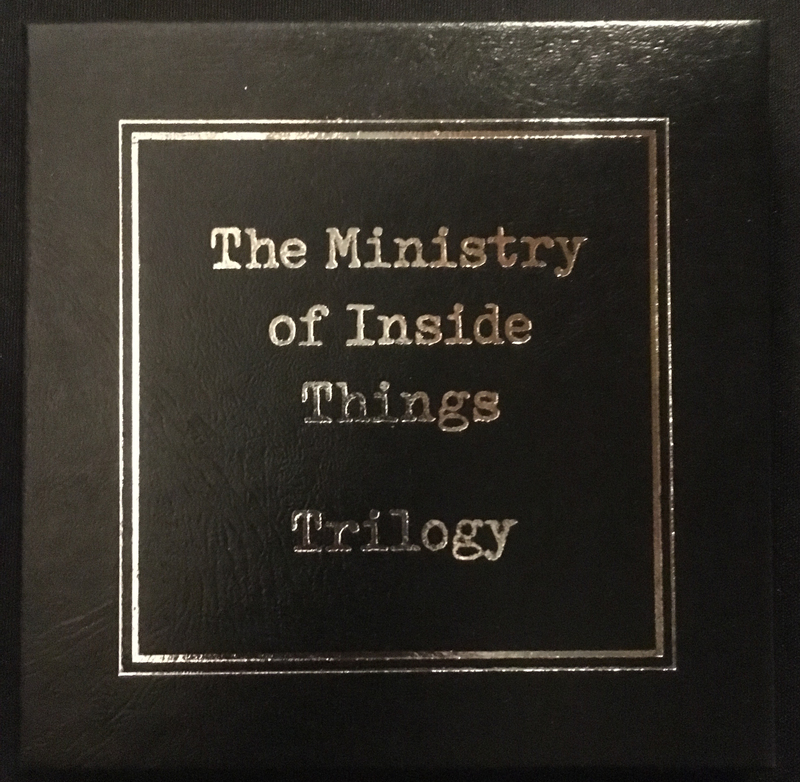 “Trilogy” is a reissue of three complete live recordings by The Ministry of Inside Things. Released initially as very limited CDRs, the three reissued live albums are replicated as professionally manufactured CDRs. Each set includes an insert with release notes and is packaged inside a deluxe box with a silver, foil-stamped cover. “Trilogy” is limited to 100 hand-numbered copies, signed by Chuck van Zyl, Art Cohen & Peter D Gulch.